Bruce was kind enough to scan and send us this chart of his exact route that day. It is highly detailed with times and descriptions on all 4 of his course deviations. Be sure and read his handwritten notes. 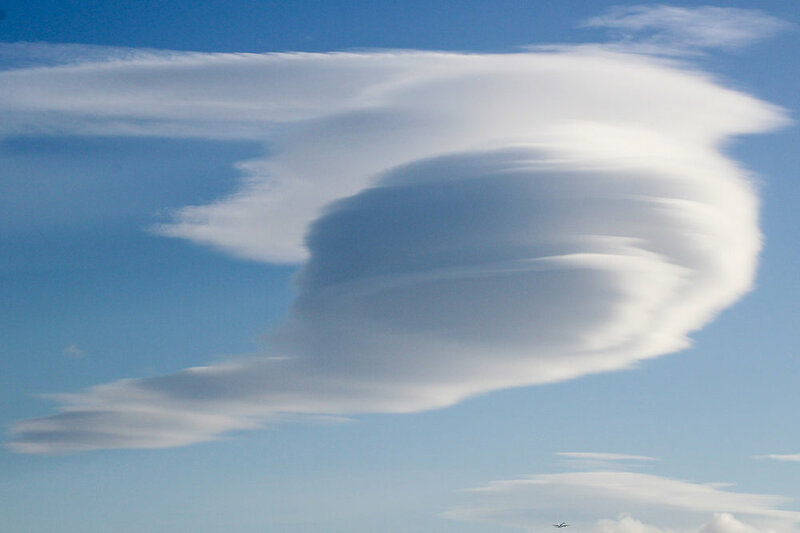 Lenticular Clouds photographed by Flickr User Mark Harkin, Licensed under CC by 2.0. We know that Distance = Rate x Time but when one of the variables of that equation is altered beyond reason by some unimaginable force of nature, the result can challenge what we think we know about the natural world. 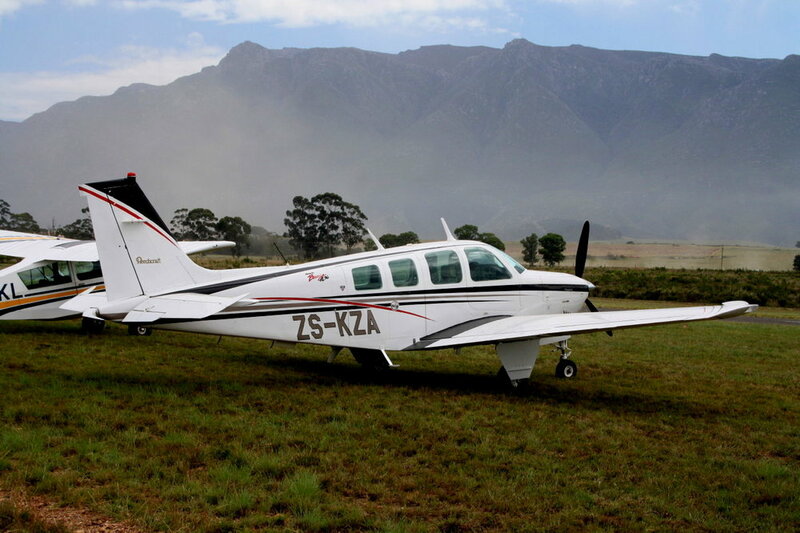 This was the experience of pilot Bruce Gernon, who believes he encountered a rare, yet natural phenomenon during a routine flight from Andros Island in the Bahamas to Palm Beach, Florida. Minutes after taking off from Andros (which also happens to be located within the legendary “Bermuda Triangle”). Gernon, along with his father who was acting as co-pilot and navigator and another passenger who was their business partner, found themselves rapidly being enveloped in a strange and powerful storm. A bizarre tunnel of clouds chased and formed around them, and by all objective and rational observations, appears to have warped spacetime itself. 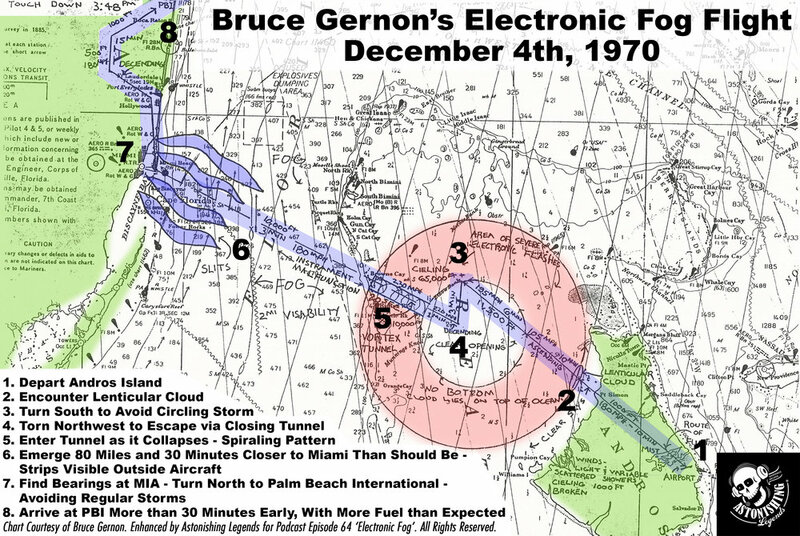 Gernon would later write about his theory of the experience calling the phenomenon, “Electronic Fog.” Could a severe weather anomaly be the cause of the mysteries of the Bermuda Triangle, or is there a greater supernatural force causing the extreme weather? The Great Courses Plus — Go to TheGreatCoursesPlus.com/legends and get one month of free, unlimited access OR just take out your phone and text the word LEGENDS to 86329. To get the reply text, standard message and data rates apply. Find and hire the right people fast by posting to 200+ job sites and Social Media networks with ZipRecruiter. Go to ZipRecruiter.com/LEGENDS to post your job for FREE! Episode 64 - "Electronic Fog" Produced by Scott Philbrook& Forrest Burgess; Edited by Sarah Vorhees, Ryan McCullough Sound Design; Research Assistance by Tess Pfeifle and the astonishing League of Astonishing Researchers, a,k.a. The Astonishing Research Corps, or "A.R.C." for short. Copyright 2017 Astonishing Legends Productions, LLC. All Rights Reserved.